Madness are generally considered to be one hit wonders in the US. The song, “Our House,” from this album, got a good amount of airplay on radio and MTV. 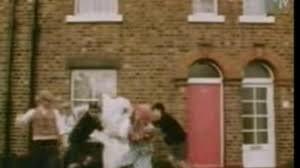 I always laughed at the part in the video where they are all outside and the mother comes parachuting down. While the song didn’t get me rocking, I still found it quite amusing and I liked it for its different sound. 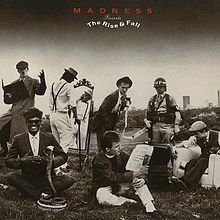 But I have to admit that Madness got sort of pushed to one side after more music that typified me came out. Though I did hear and like the song, “One Step Beyond,” which is not on the album “The Rise and Fall.” Madness would gain more of my attention a few years later when I came to their home country. It also happens that my first wife was a fan of them so I got to appreciate their material more fully. They may be considered one hit wonders in the US but I know they were more than that in the UK. Either way, they definitely got the notice from a lot of people, myself included in 1983. Their unique sound helped a lot.